We all know that for one to pass JAMB exams this days requires one to read and jack very well. 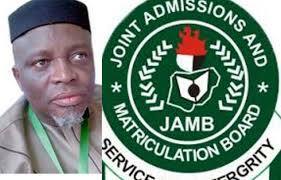 but how long should a jamb candidate allocate to reading as he or she prepares for jamb exams? this is a very big question that requires urgent answers because so many jamb candidates are stucked as to how should they allocate their reading time so as not to get exhausted . should they read all through the night or all through the day? should they just read few hours in the day or few hours at night? how long you should read depend on your capabilities and how determined you are, for a candidate who is an average ( an average student) i will advise you to increase your reading time length gradually as you progress. let’s say you started reading when it’s just six months to the exams , try as much as you can to read at least 3 hours per day. When it is 2 – 1 Month To Jamb: at this time a serious student should have covered enough ground and should be on revision. but if you have not covered enough ground you should spend nothing less than 6 hours a day and at least 4 at night. I believe the above articles will be helpful to you, don’t hesitate to ask questions using the comment box below.